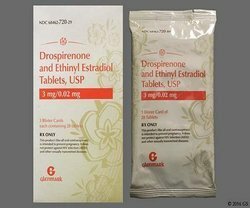 We are an eminent entity, engaged in trading, exporting and supplying an extensive range of Birth Control Drugs. These contraceptive pills are precisely processed under hygienic condition utilizing optimum grade ingredients and the latest methodology at vendors' end, in complete compliance with the international medical standards. Moreover, a team of skilled professionals, adept with decades of experience in the medical industry, test these pills on various parameters of quality to ensure its flawlessness at the clients' end. 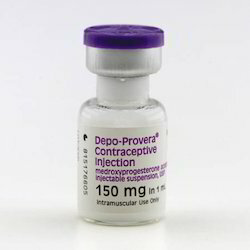 Depo Provera Inj (Medroxyprogesterone) is a hormone used for contraception. It is given by injection and its effects will last for three months at a time. It is similar to progesterone, which is one of the two main hormones made by a woman's ovaries. On offer from us is available precisely formulated Drospirenone Tablets for the clients. A Natco made tablet, it is demanded by the ladies who want to prevent unwanted pregnancy. Apart from birth control, this tablet also treats moderate acne and premenstrual dysphoric disorder. Available in a blister pack, these tablets are ensured for their tamper proof delivery. 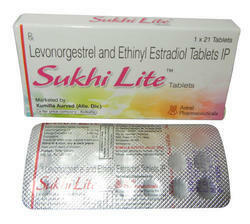 Leveraging on our vast infrastructure premises, we have been able to export and trade Levonorgestrel Tablets. Safe way to prevent an unintended pregnancy, these tablets are processed keeping in mind the requirements of the same. Furthermore, an eagle eye is kept by our vendors' professionals to leave no scope for defects in the production process. 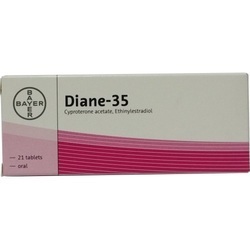 Being a reliable trader, we are engaged in offering our clients with Diane 35 Tab. Used for the treatment of severe acne and hirsutism (excess hair growth) in women, this tablet provides contraception as well. Our offered tablet is obtained from reliable vendors of the industry, who process the same as per the pharmaceutical industry set guidelines. 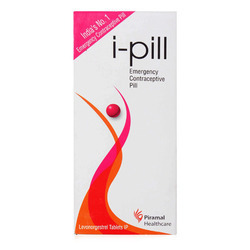 Ovral L is a monophasic, low dose combination of Levonorgestrel - Ethinylestradiol Tablets I.P. used to prevent pregnancy. Each combined oral contraceptive (COC) tablet contains 150 µg of Levonorgestrel I.P. and 30 µg of Ethinyl estradiol. 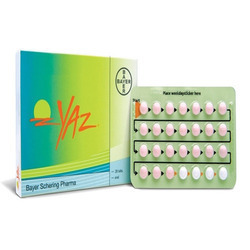 Yaz Tablet (Drospirenone/Ethinyl Estradiol) is a pregnancy prevention system that works by adjusting the uterine lining. This makes it harder for eggs to drop and adhere to the uterus, and it makes it difficult for to get to the eggs. 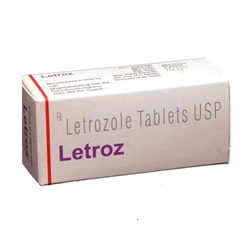 Letrozole Tablets offered contain active substance letrozole and belongs to aromatase inhibitor medicine group that is used for hormonal breast cancer treatment which is stimulated by oestrogens. The taking of tablet brings reduction in amount of oestrogen produced through blocking aromatase enzyme that produce oestrogens. It treats breast cancer in women having gone through menopause as well as are also used to prevent reoccurrence of cancer. It also helps in preventing spread of breast tumour to other parts of body in patients with advanced breast cancer. We are engaged in offering a wide range of Clomiphene Citrate Tablet. These tables are offered in safe and hygienic packaging to the clients. The offered tablets are formulated using quality inputs and under hygienic conditions. The tablets are available at reasonable prices.